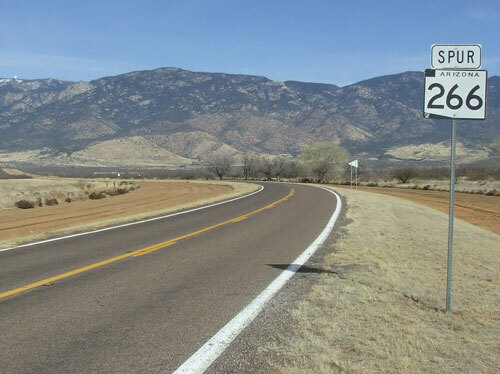 This highway ends at the small site of Bonita, where it connects to the Ft. Grant Road which goes to Willcox and I-10. 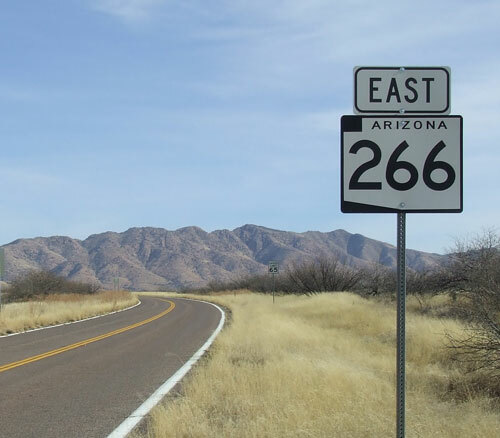 Shortly before Bonita, Spur AZ 266 branches off to the Ft. Grant state prison. Mt. Graham is in the background. This also marked a personal milestone for me. 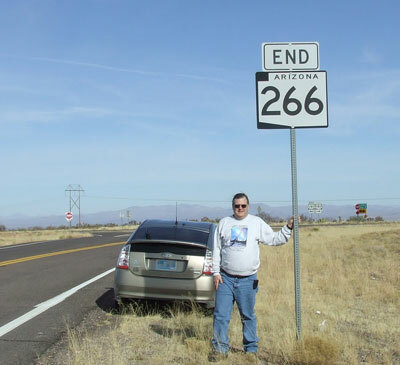 I drove the length of this highway on 1/1/2008, completing my tour of the Arizona state highway system. I have now personally driven every mile of all of the state, US, and Interstate highways in Arizona.